The Industrious Inquisitor A tri-weekly blog about gaming, entertainement, and food. 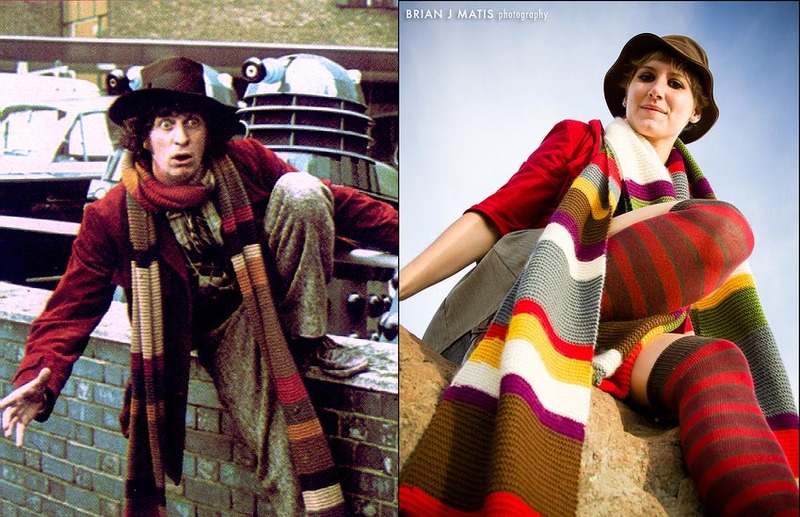 About three years ago I started the biggest knitting endeavor known to geeks: the Doctor Who scarf. This 12 foot, 7 color, all wool tasseled scarf made its first appearance in “Robot” in 1974 when a poor knitter who was friends with the costume designer was handed an armful of yarn and asked to knit a scarf. What no one had anticipated was that A) Begonia Pope was a knitter with ninja-like crafting speed, and B) she would use ALL OF THE YARN to make a scarf for our fourth Doctor. This resulted in the original scarf starting out 20 feet long, but the extra footage did not make it far with Baker’s stunts and shenanigans. It was altered to the beloved 12 foot scarf that holds a special place in every Whovian’s heart today after its big break back in ’74. Yo, Shatner – Bring It!